It’s no wonder that teens (or even sometimes adults) want to get their driver’s license. Driving provides a tremendous amount of freedom. Whether someone drivers for fun, for work, for school, or just for pleasure, there’s no denying that having ready access to a vehicle improves our standard of living. For teens, this is a huge life-changing moment. They no longer need to rely on mom and dad to cart them around. And let’s face it, driving is pretty FUN too! Persons under the age of 24 must take a Texas Department of Public Safety-approved driver’s education course. This differs from a lot of other states where the age requirement is usually 18 and under. Still, if you want to obtain your first driver’s license in Texas, certain requirements must be met. Students can start on the coursework as early as 14-years of age. However, teens are not allowed to apply for a learner’s permit until they are at least 15-years old. There are several different ways to complete your Texas drivers ed requirements. It’s really up to each individual student to choose which method would be best for them. Before I get into specific courses to sign up for, let’s go over some of the ways you can fulfill your drivers ed requirements. Public School Drivers Ed Course – If you or your teen is currently enrolled in a public school in Texas, the first way you can complete your drivers ed requirements is to sign up for a driver training class through the school. Unfortunately, not all public schools in Texas offer a drivers ed class. Taking a drivers ed class through a public school can take a longer amount of time than the other methods offered, but this is usually the cheapest option available to fulfill state requirements. Privately Offered Classroom Drivers Ed – Drivers ed courses can also be offered by private companies in Texas. Typically, these drivers ed courses are held in a traditional classroom environment to fulfill the Texas state required 32 hours of classroom instruction. After the 32 hours of classroom instruction, students will need to complete 14 hours of driving instruction with a Texas state-approved driving instructor. And finally, students will need to get another 30 hours of driving practice with an adult 21 years of age or older. Online Instructor Taught Drivers Ed – Most students these days don’t want to sit in a classroom being lectured at. Fortunately, there is a great alternative. Instead of taking the 32 hours of classroom training in a traditional classroom setting, students can complete the classroom training hours by taking a Texas state-approved online drivers ed course. They still need to take the 14 hours of driving instruction with a driving instructor and get their 30 hours of driving practice in, but skipping the classroom is a good perk that many enjoy. Online Parent Taught Drivers Ed (PTDE) – The Texas parent taught drivers ed (PTDE) option is very unique to Texas and an option many don’t know about. With this option, teens can take their classroom training entirely online, then complete 44 driving hours with an approved parent or guardian. This is generally the most convenient options available and it is quickly becoming one of the most popular options. For the remainder of this guide, I’m going to assume you want to sign up for ONLINE drivers ed in Texas. So, let’s get into your options. Parenttaughtdrivertraining.com All Star Driver Education, Inc.
Now that you have full lists of the best Texas online drivers ed courses, I thought I would create some reviews of the best online drivers ed programs in Texas. While this is mostly based off of my own personal opinion, I have years of experience in the drivers education industry including experience creating online driver training programs. I have “insider info” about who these companies are, who runs them, the quality of the courses, and how students typically feel about these various programs. This list of Texas online drivers ed reviews and comparisons are the courses I HIGHLY recommend you stick with. 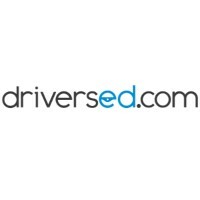 DriversEd.com is a fantastic option to complete your Texas drivers ed requirements for quite a few reasons. For starters, DriversEd.com offers both instructor taught drivers ed as well as parent taught drivers ed, so no matter which option you choose, they have you covered. However, this drivers ed course is especially good for those who want to take instructor taught drivers ed since they operate their own behind-the-wheel training program. DriversEd.com operates their own drivers ed vehicles and state-certified instructors all throughout the state. If you sign up for their Texas online drivers ed course and also use one of their driving instructors, you may qualify for a sizable discount. As far as the course quality itself, DriversEd.com is among the best. They deliver content in multiple ways to help student retention rates. From plain text to graphics, videos, animations, and even games, DriversEd.com has over 20 years of experience and have darn near perfected this. My favorite feature of DriversEd.com are the interactive videos. Students are presented with driving hazards and must make their own decision on how to avoid the hazard. They also deliver some of the more boring information in fun ways. For example, when students learn to memorize the different road signs and their meanings, they learn through an interactive game which really helps them retain the stuff they need to know. Finally, DriversEd.com provides great customer service which is unfortunately hard to come by with most online drivers ed courses in Texas. They have their own in-house and U.S. based support team available 7 days per week via phone, email, or live chat. While you shouldn’t need to contact customer support, navigating government requirements can sometimes be confusing, so they are there to help if you need it. Aceable is another one of the best Texas online drivers ed courses out there, and better yet, you’ll be supporting a local company as this school is actually headquartered in Texas (Austin, TX to be exact). While I normally recommend online drivers ed courses that have been around for a while, Aceable is actually one of the less experienced programs. Don’t let this scare you though. Even though they’ve only been around for a few years, they’ve literally had millions of people go through their course and for good reason! They dumped around $5,000,000 into creating the most techically advanced online drivers ed course available in Texas. For example, check out this 3D and interactive parallel parking video from Aceable just to get a taste of what their course is like. Be sure to use your phone or mouse cursor to look around! Pretty cool, right?! It doesn’t stop there. Aceable developed the single most mobile-friendly online drivers ed course you can sign up for today. If you plan on taking your course from a phone or tablet, this is the one you want. It isn’t just “mobile friendly”, they actually created dedicated apps for each individual device. You can switch between devices anytime. My favorite part of this course is their mascot, Ace. He will guide you through all the course content with interactive videos, graphics, animations, and more. When the course is over, you’ll be sad to see Ace go! As with my other recommended courses, their customer service is fantastic. They have a customer support team based in Austin, Texas. They can be reached via phone, email, chat, or even through various social media platforms. Aceable is approved for both instructor taught drivers ed as well as parent taught drivers ed in Texas. While they do not operate their own behind the wheel driver training, they do work closely with local driving schools, so if you need a driving instructor, be sure to contact them for recommendations and discounts. If you can’t decide between DriversEd.com or Aceable, check out my article that compares DriversEd.com to Aceable. Like the other names on this list of the best Texas online drivers ed programs, iDriveSafely has courses for both parent taught drivers ed as well as instructor taught drivers ed. This is an affordable course that receives great reviews online, including an A+ rating with the Better Business Bureau. This is quite a feat since they have been around for about 20 years. While they don’t have their own driving instructors, they do work with local driving schools to help get you a discount if you go with instructor taught training. With iDriveSafely you can complete the course from any device and log into or out of the course whenever you want. Another nice touch is they offer one of the best “parent guides” that I’ve seen out there. When a teen is learning how to drive, it can be stressful for parents, too. iDriveSafely has parents covered with their detailed guide and tracking tools to keep an eye on their teens progress. If you want to learn more about iDriveSafely, check out my full and detailed iDriveSafely online drivers ed review. If you’re not into all the flashy 3D videos and interactive games, Teen Driving Course is a good choice. This online drivers ed course still includes some interactive features and videos, but it is a bit more basic. They tout themselves as being one of the more cost-effective options. They also use an a la carte style program where you can add on more advanced features if you want them such as audio read along. While this is one of the cheapest online drivers ed courses in Texas, it is still a legit option. They’ve been around for a long time. In fact, they started offering home-based online drivers ed courses before it was available on the internet. Back then, they sent booklets and VHS tapes (remember those?!) through the mail. These days, their entire program is offered online. They’ve had a long time to perfect this and even guarantee that you will pass their course. If you run into any issues along the way, they have customer service available 24/7/365. It’s also important to note that this course was just recently updated. It is still a more basic drivers ed program, but that doesn’t mean it is outdated. It works very well on any device and still includes all of the convenient features. For example, they keep track of your spot so you can log into or out of the course anytime. They also break the course up into easy to manage sections and allow you to take unlimited practice exams to help prepare you for the real thing. While I highly recommend you stick with one of my recommended Texas online drivers ed courses, it really doesn’t matter which course you go with as long as it is state approved. Just be sure you specifically sign up for the course you want as parent taught drivers ed is a different program from instructor taught drivers ed. At that point, you can get in your practice drive time and finally get your license! I would recommend not worrying too much about price. Most of these online drivers ed courses in Texas are higher quality and get the job done, but you should go with the best course possible for your specific needs. Check out as many online drivers ed classes that you can, find the one you’re most comfortable with, and go with it. Good driving habits are formed early so this isn’t the product you want to pinch pennies on. Best of luck to you and please remember to drive safely!